Look for the NRC Race Team at races around the country! The closest Jeff came to endurance sports in high school was the 400 meter dash which felt like an eternity. His main athletic focus in high school was football and he cheered for the University of Southern Mississippi in college. After he began his career in public accounting, the pounds started piling on and he decided to run the Country Music Marathon to get in shape. "It wasn’t pretty", but he finished his first marathon and decided to sign up for a few more. In 2012, he turned my attention to trail running and he hasn't looked back. Over the past few years, he's gravitated toward the 50 and 100 mile distances partially because he likes the time in the woods and partially because he's "too slow" for shorter races. About two decades ago, as my parents watched me run after a butterfly while my teammates and opponents chased a soccer ball in the opposite direction, I began to realize that the ball was not the object of my interest. After promiscuously experimenting with other sports for several years, none of which could provide me with the true excitement and joy I feel today, I decided to tag along with a friend going to a summer cross country practice a week before the start of high school. I joined the team reluctantly, but within a few weeks I was in love. I graduated high school with a dream and a 400m PR slower than at least three girls in my class, as well as a deep respect for a man named Arthur Lydiard. After training solo for my freshman year of college, I walked on to the team at Duke and ran XC and track for three years. There, I made the ACC squad (top 10) on the cross country team my senior year and ran 31:17 for 10k on the track. After a fulfilling collegiate career, I realized I was still hungry for more. I brought my talents to Nashville for the pristine weather, beautiful parks, and welcoming running community to train with (former...:(((() teammate, classmate, and occasional friend Ben Li while I studied medicine on the side. My 2018 goals include running more than 4,000 miles (almost got it last year! ), breaking 60 in the 400m (highly unlikely) and qualifying for the Olympic Trials in the marathon. As a Wisconsin native and a midwesterner through and through, Caroline is not deterred by the cold, ice, or snow and vows to never turn vegan because cheese, as one might expect, is one of her favorite foods. 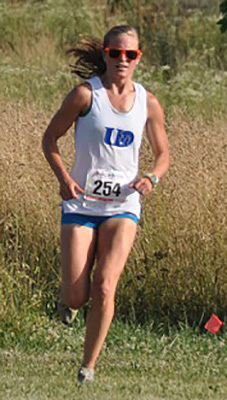 Although she dabbled in running during high school, Caroline did not begin to take running seriously until her first year of college at the University of Dubuque in Dubuque, Iowa. Originally recruited as a soccer player, she was coerced by her teammates to join the track team to “stay in shape”. Realizing most of her success as a player was due to being able to run fast and not actual soccer skills, she hung up her cleats and went on to compete for the cross country and track teams as a middle distance specialist. Post collegiately, Caroline has enjoyed challenging herself with new distances, earning recent PRs in the marathon (3:01) and half marathon (1:21). As a new mom, her goals for the next year are to return to the world of road and trail racing and reclaim all the Strava CRs she lost over the last 9 months. Outside of running, Caroline is a research scientist and microbiologist extraordinaire who enjoys cooking, canoeing, and hiking. Ryne grew up playing baseball and football in Dayton, Tennessee and eventually wound up at Maryville College to play Division 3 football. One too many concussions ended his days of running routes and catching passes. Needing to stay active, Ryne then experimented with triathlons and road races until he finally found his passion on the trails in 2014. "I really enjoy the process of training for a 50 or 100 mile race. You can't show up on race day and get through an ultra without putting in the work beforehand. Having a big ultra on the calendar keeps me driven and balanced." 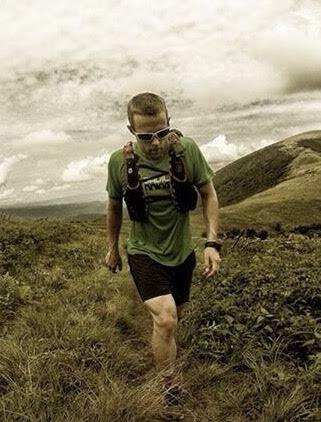 Ryne plans to continue pushing his physical and mental limits with an annual 100 miler, while also racing the regional circuit of 50k and 50 mile races. Hannah was born and raised in Nashville, TN and her parents put her in any sport that would wear her out! Growing up, Hannah ran cross country and track in grade school, and her junior and senior years of high school. After high school she was completely burned out and vowed to never run another mile in her life! While in college at Samford University (in Birmingham, Alabama), Hannah quickly realized the “Freshman 15” was no joke and southern fried food was no help. Several months into her freshman year of college she began, putting her former love of running and swimming to the test and began training for her first triathlon (olympic distance) in 2013. After completing her first triathlon her love for running grew and the following year she completed her first marathon (2014)! After completing the marathon, her love for running was reignited and she has completed 3 marathons! It wasn’t until her senior year of college that she began wanting to run more competitively and race various distances more frequently. After qualifying for the Boston marathon and graduating college in 2016, Hannah has focused her attention on racing more frequently and improving times in anything from 5k’s to marathons. Goals for 2017 include: setting new PR’s, increase weekly mileage and entering competitive races! When Hannah is not running, you can find her swimming, (attempting to) practice yoga, assistant coaching for NYA xc and track, and working at lululemon athletica and personal training. Unlike many of her NRC teammates, Emily's love for running did not start until later in life. A native New Englander, it is rumored that Emily actually quit soccer at the age of 5 because it involved "too much" running. Instead, she spend most of her childhood years as an equestrian competing in hunter jumper events. It was not until she began attending college at the University of Tennessee that Emily started running and she hasn't stopped since. After deciding to run her first full marathon in 2008, Emily has since completed 8 marathons and holds several state age records. When she isn't running, Emily works as an attorney at Lewis, Thomason, King, Krieg & Waldrop, PLC practicing in the areas of education law, labor and employment law, and general civil litigation. Unlike many of her fellow NRC Race Team members, Beth didn’t run at the collegiate level, but a few 5Ks and 10Ks a year were enough to help keep weight off while she was attending THE University of Alabama. It wasn’t until 2013 that Beth really started looking towards longer distances . . . and the trails. 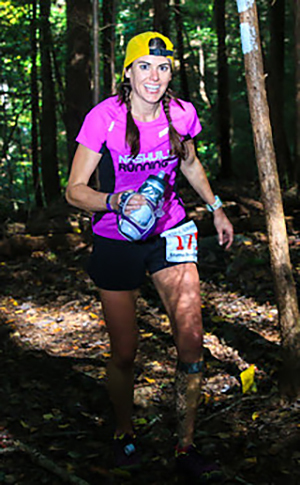 Since the first step with NRC’s RunWILD training program, she has been completely obsessed with the trails and becoming an ultrarunner. In 2014, Beth realized this by winning Stump Jump 50K, making her the RRCA National Ultra Champion. After a couple of 50Ks and a 40 miler, she completed her first 100 miler at the Pinhoti 100 in 2015. Goals for 2016 include gaining speed at the shorter distance stuff while also surviving her second 100 miler. When she’s not running, you can find Beth working on her own business, occasionally lawyering, and helping with NRC’s trail races and RunWILD training. Tonya's spark for running started early in elementary school when she came home from field day to report to her mom that she had beat the boys. She has been running ever since. From high school and then on to the University level. (Nebraska Wesleyan) After graduating from college, she moved to Nashville in September 2002. 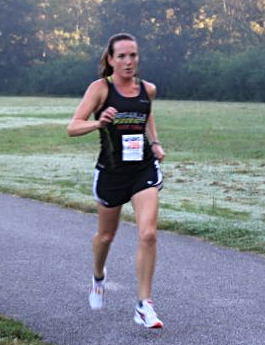 Tonya enjoys racing many distances from 5ks to half-marathons whether they be on road or trails. Tonya is a licensed massage therapist and practices at Practical Massage Therapy. 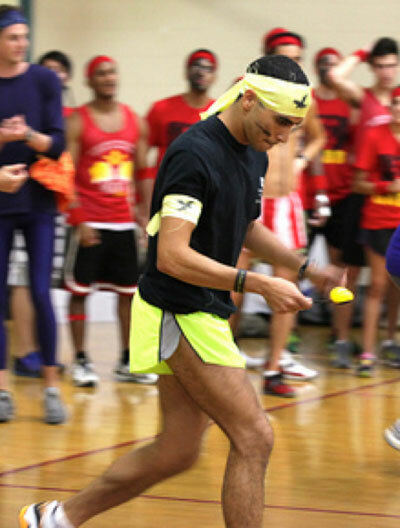 A native of Hartsdale, New York, Matt Pulle ran Cross Country and Track at Vanderbilt University in Nashville, Tennessee. While at Vanderbilt, Matt captained the Cross Country team and made the Academic All-Sec teams his junior and senior years. Since graduation, Matt has run 12 marathons, all 2:40 or faster with a p.r. of 2:29.37 at the 2003 Grandma's Marathon. As a Master's runner, Matt has posted a 2:40 marathon at the Rocket City Marathon in Huntsville, 1:16.19 Half Marathon in Memphis and a 16:10 in the 5000 meters at the Music City Distance Carnival. A former reporter of 14 years, Matt now works as an attorney and lives in East Nashville with his wife and two children. Kris Rehm joined the NRC race team in August 2013. Kris has always had a love of running,..since middle school track in the 1980's!! She competed at Ohio University where her highlights included being named the Ohio runner of the year in the fall of 1993 and the Mid-American Track Athlete of the year after a triple race feat of 10K win (35:40), 3K 3rd place finish (9:50) and 5k victory (17:20). That, though, was a long time ago!! The highlight of the 2013 racing season for Kris was representing the NRC race team at the Nashville Women’s Half Marathon where she finished 2nd overall. Now she is a local masters competitor, mother of 4 boys, and pediatrician at the Monroe Carell Jr Children's Hospital at Vanderbilt. Running was always the punishment that Tony received while playing the "normal" sports as a kid. He didn't choose to run until his Junior year of high school when the team promised to take a training trip to Myrtle Beach. They never took that trip, but he fell in love with the sport, anyway. After only running about 20-30 miles a week in high school, he chose to walk on to the University of Kentucky's XC team his freshman year. After the first week of practice, he realized that he was going to have to work really hard to get fit and stay injury free. He had some trouble staying injury free and chose to compete in events outside of school. He picked up cycling and swimming to stay fit and eventually got into triathlons. He has run hundreds of races since then and has even competed as a professional triathlete since 2009. Whether he is swimming, biking, or running, he is always looking to compete against the best. For 2016, he is looking for a few personal bests in the 5 and 10k distances and looking to run his first marathon since 2008. * 6:02 Beer Mile PR and Reigning Nashville Brew Mile Champ! !